There are estimated between 10-20 million fractures reported every year in the United States. Most people will at some point in their lifetimes suffer a fracture, which means we are coding fractures and treatments for them multiple times on a daily basis. Can I report debridement with the fracture? When is it no longer considered “initial” encounter? Can I report splinting and fracture care in the same encounter? Can I report and E/M with the fracture care in same encounter? 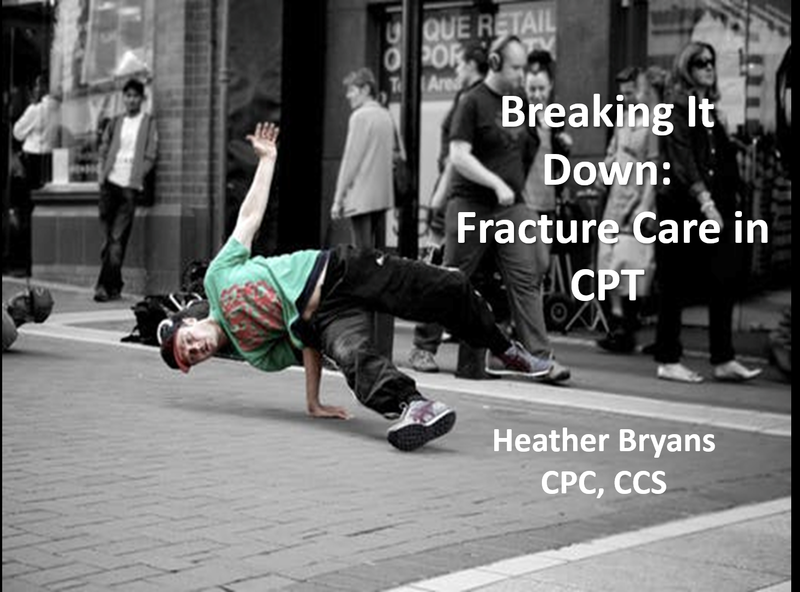 In this session we are discussing these and other commonly asked questions as we share the top 3 things to remember when reporting fracture care in CPT (and some ICD-10-CM). Describe key CMS rules and regulations specific to fracture care and apply this knowledge in their own providers claims.